In its brief history one of the things I've noticed about football programs in the American Athletic Conference is just how many homegrown prospects make significant impacts. By my count, there are 125 AAC players who are on teams in the city of their birth. Houston leads the way with 20 players from the city of Houston. South Florida, set to play at UConn tomorrow, has 18 from Tampa, Cincinnati (17), Memphis (16), Tulsa (14) and Temple (13) also feature more than 10 hometown products on their rosters. We're not talking about marginal prospects either. Anthony Miller of Memphis is second in the conference in receptions and receiving yards, USF's Bruce Hector and Ed Oliver of Houston are two of 11 AAC players with at least nine tackles for loss, Houston's Duke Catalon is 10th in the conference in rushing, Tony Pollard of Memphis is the national leader in yards per kickoff return, while USF center Cameron Ruff is a candidate for the Rimington Award presented annually to the nation's best center. Why am I mentioning all of this now? Well, it just so happens to tomorrow is the final game at Rentschler Field for UConn's seniors. 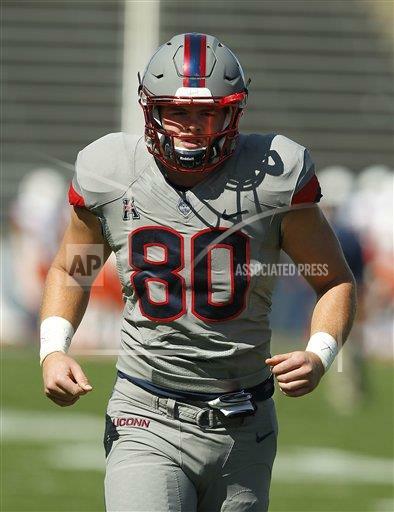 While UConn and Navy are the only AAC teams without a player on its roster from the town or city when the university is located, Coventry native Tommy Myers is about as close to a homegrown of a player that the Huskies have ever had. With that in mind, I compiled a list of the top players by position who grew up less than 20 miles from the university they attend. As you can tell, it's a rather impressive list. City names capitalized are same as where university is located. 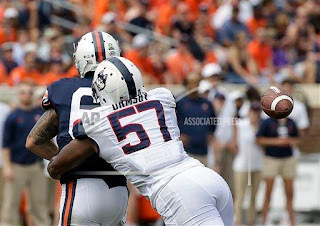 I cheated a little bit and included UConn defensive end Cole Ormsby even if his hometown of Windsor is closer to 30 miles from the campus than the 20 I said I was using as my parameters.